Matt Brown, the Los Angeles Angeles of Anaheim director of photography has started interviewing photographers during his travels with the team. Jose Lopez was awarded the top prize at the Sports Shooter Academy Lighting Workshop for his portrait of a U.C. Irvine rugby player. 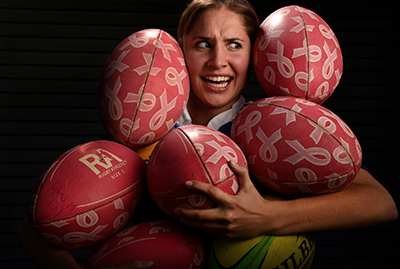 The Sports Shooter Academy hosted its annual lighting workshop in April and Jose Lopez’ portrait of a U.C. Irvine rugby player was selected the top image. Participants in the 3-day program worked with both speedlights and studio lighting gear to give them a wide-ranging experience. Shoots were staged on location and in studio situations. The SSA Lighting Workshop was sponsored by Nikon Professional Services, Dynalite, Think Tank Photo, Honl Photo, Samy’s Camera and PocketWizard. One of the highlights of the workshop was participants using the new Dynalite Baja B4 system, an AC and battery-powered moonlight that featured high-shutter speed sync capabilities.